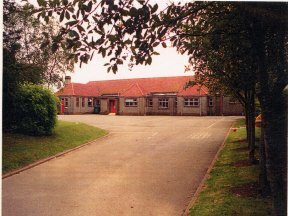 Auchnagatt school was open in the summer of 1957 & replaced two schools of Savoch & Clochan. The building consisted of 'Three classrooms, general purpose room, School meals Kitchen & ancillary accommodation'. The description comes from the programme of the official opening on 24th October 1957 but still describes the accommodation within the school. The roll in 1957 was 75 & the current roll is around 50. While there is more room for each child to move around, the use of the accommodation has to take into consideration such things as photocopiers, videocassette recorders, TV's & computers within the school. So even if the description of the school as contained within the 1957 programme is correct as far as it goes, it is likely that the use of the school building & the activities that go on inside it will have changed dramatically since 1957, reflecting the changing values & attitudes of society, teachers and not forgetting the pupils! When considering the changes that have taken place since 1957 it becomes apparent that these have firm foundations in good current educational practice & that changes are not made for changes sake, but for a specific reason, perhaps to take into account some recommendation by persons in authority e.g. Directors of education, or to re-organise the school to cater for the fact that the roll has fallen, & to use the skills & talents of our existing members of staff in a manner most beneficial to children.